Youtube is exploding with amazing talent in the area of personal finance and investing. We thought it was the perfect time to bring some attention to these stars with our very own list of the best money tubers! It’s so fun to learn about personal finance and investing from a Youtuber or a great Youtube channel; you get to know them, trust them, and follow their journey all while creating accountability for your own journey. 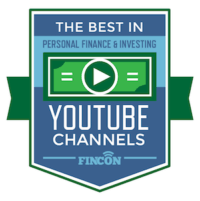 Above is the first-ever mega list of the best personal finance and investing Youtubers and channels active today, ranked by subscribers. Are you a Youtuber? Please email us to have your channel considered for inclusion.